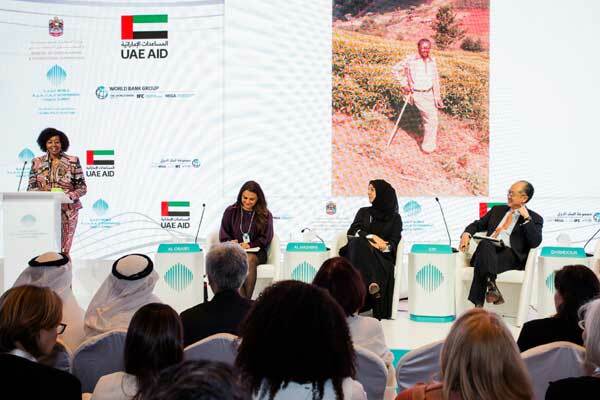 A global initiative that aims to raise more than $1 billion in financing to support women entrepreneurs was highlighted at the sixth World Government Summit in Dubai, UAE. The Women Entrepreneurs Finance Initiative (We-Fi) aims to improve access to capital, provide technical assistance, and invest in projects and programmes that support women and women-led small and medium-sized enterprises (SMEs) globally. A special Global Policy Platform panel discussion on the emergence of female entrepreneurs worldwide also highlighted ways to support and empower women to become entrepreneurs and contribute to the economy. Under the patronage of HH Sheikh Mohammed bin Rashid Al Maktoum, Vice President and Prime Minister of the UAE and Ruler of Dubai, the summit runs from February 11 to 13 at the Madinat Jumeirah in Dubai. Conducted by the UAE Ministry of Foreign Affairs and International Cooperation in collaboration with the World Bank and its sister organisation, the International Finance Corporation (IFC), the ‘Women Entrepreneurs Rising Worldwide’ session introduced a new financing initiative launched by the World Bank Group, said a statement. Reem bint Ebrahim Al Hashimi, UAE Minister of State for International Cooperation, led the panel that also included Dr Jim Yong Kim, president of the World Bank Group; and Fadi Ghandour, executive chairman of Wamda Capital and founder of Aramex. She went on to point out how the UAE was the first Arab country to close the gender gap in the labour force and thus, Emirati women today have equal opportunities to receive a quality tertiary education, and became valuable assets in the labour force. “We’re very pleased that the UAE and 13 other countries are supporting We-Fi, which will help women around the world overcome barriers to starting and running successful businesses,” he added.